European tour to kick off shortly! 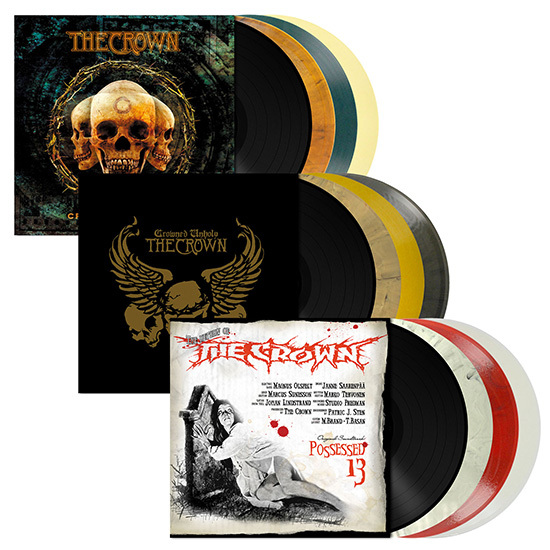 Unholy Swedish Deathrace Kings THE CROWN have just announced vinyl re-issues for three of their classic albums! Brand new editions of ‘Crowned In Terror‘, ‘Crowned Unholy‘ and ‘Possessed 13‘ will be available January 11th. Pre-order your copies now from EMP and our ebay-store!